For the latest strategy advice right in your inbox, be sure to [wp_colorbox_media url=”#mcsignup” type=”inline” hyperlink=”subscribe to our newsletter” class=””]. For more frequent updates on what’s happening in the online world that your nonprofit needs to know (and take advantage of), see our News Updates page. 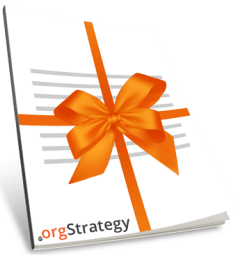 With storytelling, your nonprofit’s grant applications don’t have to be tedious. Tracy Kaufman of Foundation Center (Candid) details how each component of an application can tell a grant-winning story without sacrificing any essential details. A comprehensive guide to measuring and improving your nonprofit’s website success—and demonstrating impact—with the power of Google Analytics. How do U.S. nonprofits need to respond to GDPR? Top experts in the space share their insights and advice. Here’s what you need to know and where to start. #GivingTuesday is a global day of giving and it’s activated all over social media. Even if you’re a brand new nonprofit and never participated in #GivingTuesday before, this is an opportunity for awareness and fundraising you don’t want to miss! Are you getting the most out of Instagram Stories for your nonprofit? Or wondering if it’s even worth the investment? Here’s a comprehensive guide to get you started or take you to the next level. Why do you need a CRM? How would it benefit your nonprofit and what features should you look for? Here’s our guide and reviews of top rated platforms. Should you build your nonprofit site on WordPress? Squarespace? Wix? Joomla? Drupal? Something else entirely? Choosing the right platform can be difficult. Choosing the wrong one could mean you’ll have to start all over in a year or two. Here’s our guide to the features you need and what you can expect.